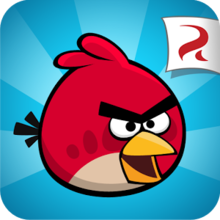 Just in case a terrorist is passing time playing Angry Birds, the NSA is trying to establish the technology to siphon information from the communication networks on smartphone apps, the Guardian reports, citing top secret documents. The information is useful because it allows the agency to mine large quantities of cell phone data. But the surveillance is catching strong criticism from civil liberty groups that say the federal government is using the threat of terrorism as a pretext for collecting troves of personal data. The documents do not indicate the extent of the collection efforts. Posted: 1/28/14 at 9:06 AM under News Story.